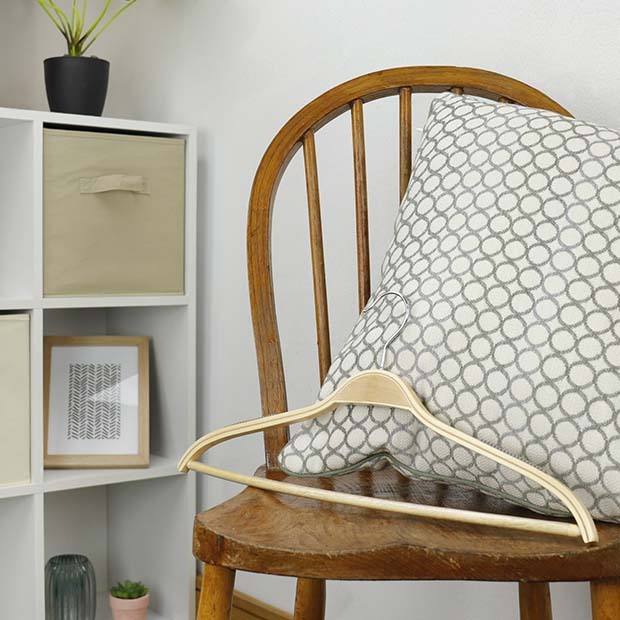 Stylish laminated wooden clothes hanger with detachable trouser bar. Superb, solid clothes hanger with a varnished layered wood giving an attractive finish. Anti-slip plastic grip on bar to prevent trousers slipping off. Attractive grey ridged non-slip strip on each shoulder. Ideal for suits, jackets, trousers, coats, skirts etc. Size: Width 45.5cm (18'') approx.